BELLEVILLE – The Canadian Cancer Society is challenging people to give up alcohol during February to help raise money and awareness about alcohol-related cancers. The challenge is called Dry Feb, and the people who participate raise money by making a profile page and collecting donations online. Susan Flynn, senior manager of prevention at the Canadian Cancer Society, said doing Dry Feb is important for creating awareness. “We think that by challenging people to go booze-free for a month we can also do some education and awareness raising by using the opportunity to let people know about the link between cancer and alcohol,” she said. Stephanie Vance, a public health nurse at Hastings Prince Edward Public Health, said she supports the Cancer Society’s initiative. “Challenges like this are good for getting people to acknowledge the role that alcohol plays in their day to day life. So they have a better picture of when they’re drinking, why they’re drinking, and how much they’re drinking,” she said. Drinking is such an accepted part of our society that many people don’t think about what they are doing to their bodies, said Vance. “Alcohol is the second greatest risk factor for cancer after tobacco use, and that’s something people don’t know about,” she said, pointing out that according to the Cancer Society it is estimated 10,700 cancer diagnoses in Canada last year were related to alcohol consumption. One area that Vance said needs more attention is the guidelines for how much people should drink each week. Females should limit themselves to 10 drinks a week, with no more than two drinks a day, for males it’s 15 drinks a week with no more than three drinks a day, she said. 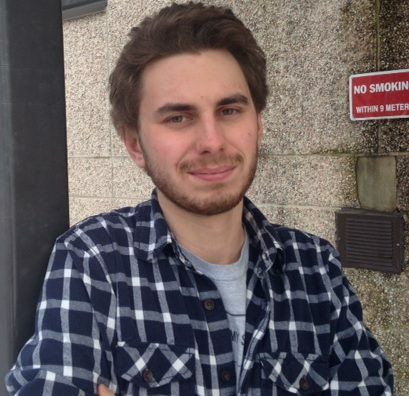 Loyalist College student Martin Gray is one of those who doesn’t know the guidelines. Another Loyalist student, Ilias Stanois, said he’s going to do some research about the challenge. “I’ve lost family to cancer, so I’ll be looking it up. I probably won’t actually do the challenge, but I might contribute a few dollars to the cause,” he said. There are lots of potential health benefits to giving up alcohol for a month including, sleeping better, weight loss and increased energy levels, said Vance. At the time of writing the Cancer Society’s challenge has over 2,000 participants and has raised just over $42,000. For those who are interested in joining the challenge, you can sign up here.